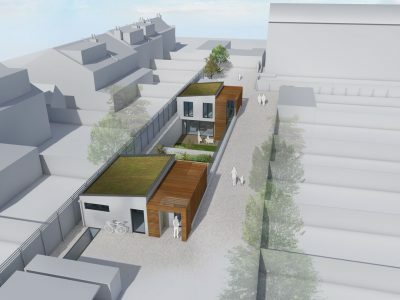 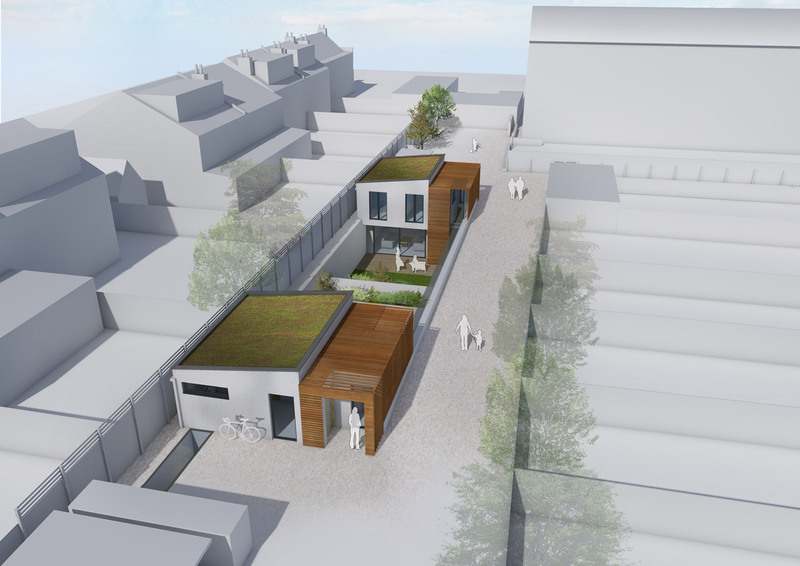 Five years after the original application and subsequent negotiations with LB Richmond DA is pleased to note the final approval on appeal of an unusual 2 unit residential scheme. 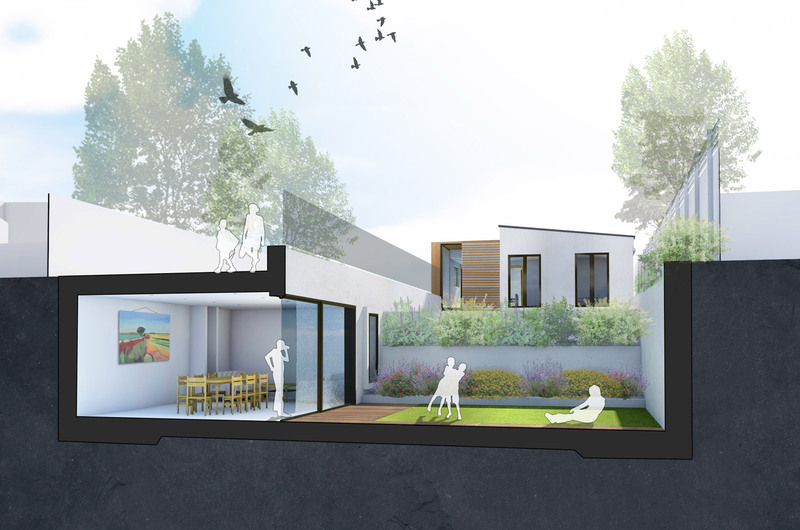 The design on redundant rear garage land includes basement living and garden space to address the key neighbourhood overlooking issues. Green roofs, street tree planting and permeable paving are included to meet biodiversity and sustainability criteria. 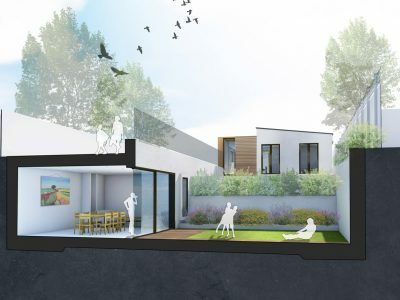 Granit Architects co-ordinated the submission and appeal for Petrow Estates with DA providing ecological and landscape planning advice.